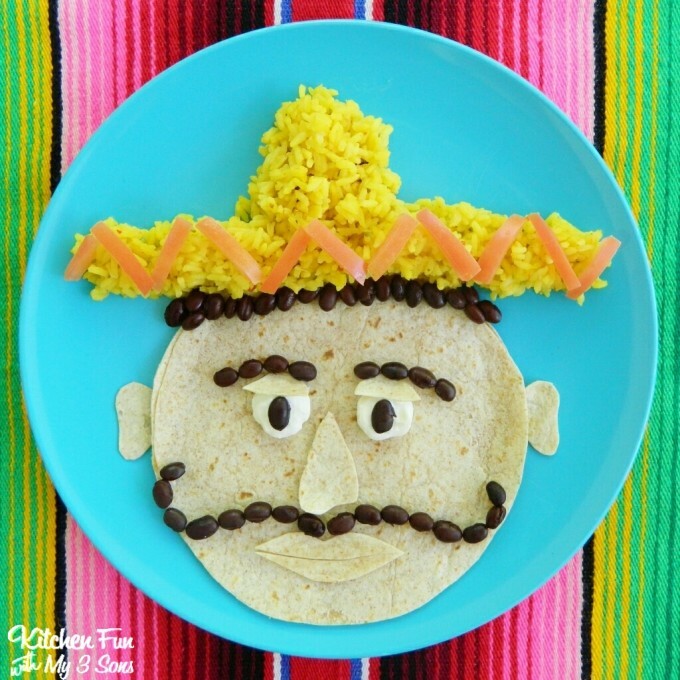 Cinco de Mayo is coming up in just a few weeks and we have always loved making fun food for Cinco de Mayo! 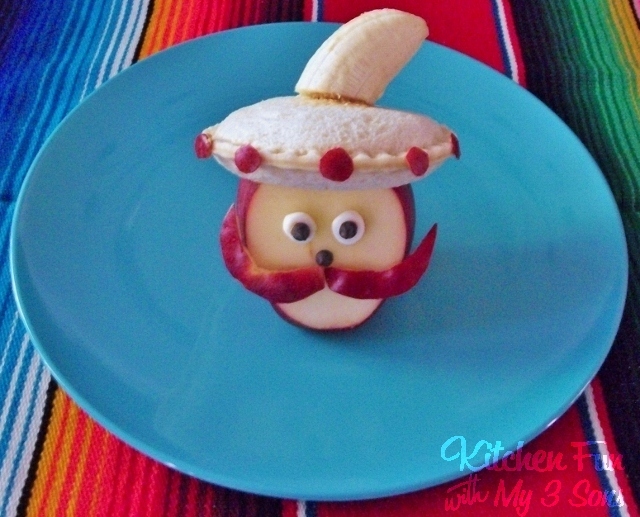 We came up with this fun Cinco de Mayo Breakfast the other day and my boys thought this was so funny! 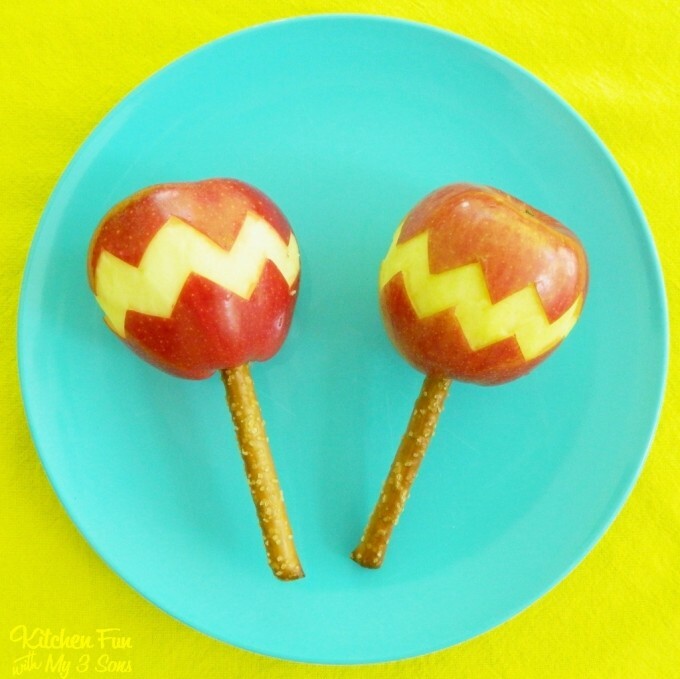 This is very simple to make and the kids will just love it! Make a large pancake with your pancake mix in a pan on low heat. Place on a plate. 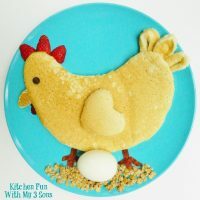 Make another small pancake and cut out the nose & lips using kitchen scissors. We beat 2 eggs and poured them in our pan like you are making a omelette. We cut out the hat & maracas using our kitchen scissors. We microwaved our turkey bacon and place on piece on the face for a mustache. We cut out strips from the other piece to decorate the hat and maracas. We cut a mini marshmallow in half for the eyes and used mini chocolate chips for the pupils. 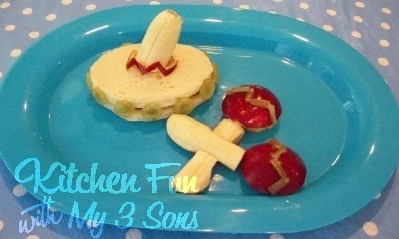 Super fun to make and my boys really loved this! 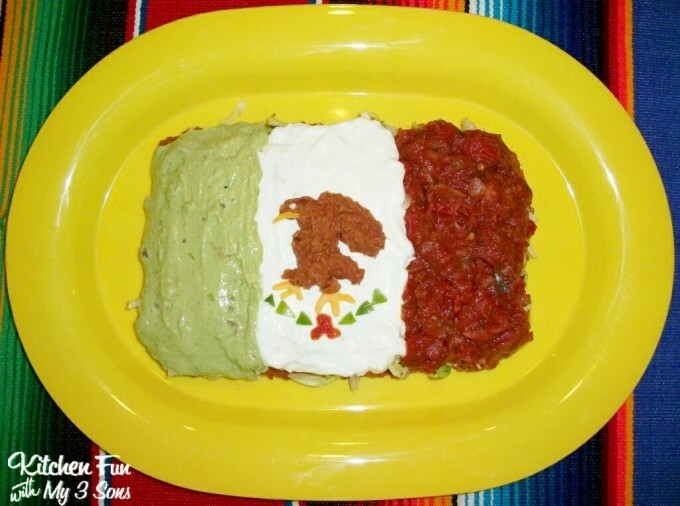 Check out some of our other fun Cinco de Mayo creations…. Next Post » Reese’s Banana Bread Monkey Cake Pops! 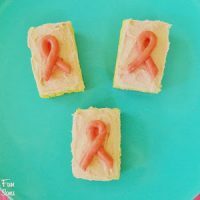 Breast Cancer Awareness Treats…super easy! And Your Recipes Gallery will be displayed like this : Cinnamon Spice and Everything Nice where we link the full recipe back to your site. 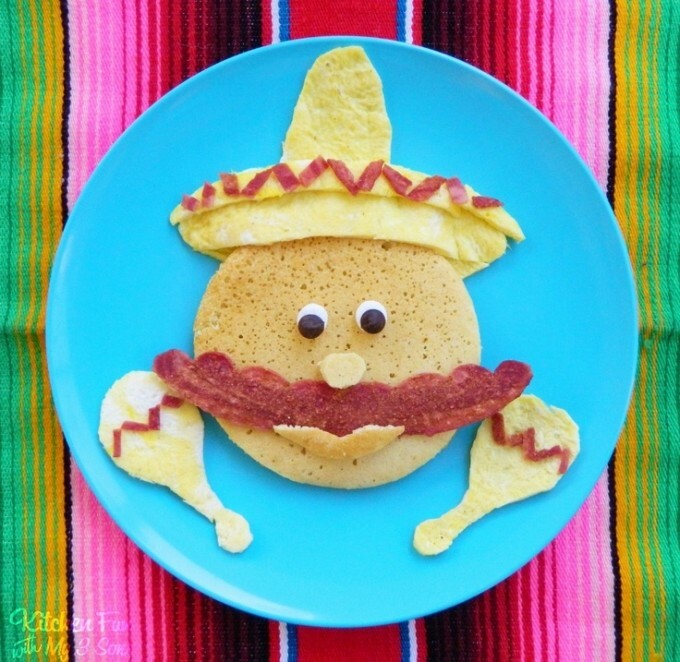 What a fun looking breakfast, in fact all the cinco de mayo food looks great. I particularly like the flag dip, it looks delicious. Love it! This is so cute! Visit me over at greatastestuesdays.blogspot.com! What fun. I love the bacon mustache. So cute – love the breakfast, and the bacon mustache – adorable! This is just too cute! I almost died over that banana sombrero! You are so creative! Those are too fun! Thanks for sharing them at Monday Funday! What a cute idea! My kids would love this. I think this is one of my favorites Jill!! Muy Prefect-o! I love it! Pinned this! 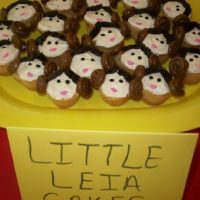 Thanks for sharing these on Two Cup Tuesday at Pint Sized Baker I hope to see ya again on Monday night! Great idea! 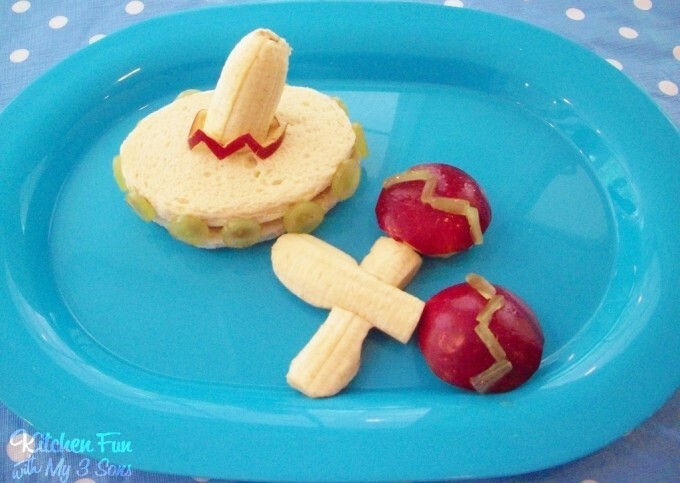 Love all your fun ideas for "playing with food." Love this Jill! Pinned and featured on Facebook today! Love the 'stache! As always, brilliant! That pancake wearing a sombrero is cuter than I can handle. Pinned!